These days not too many people get their health insurance on the free market. Instead many have no coverage at all and many get it through their employer where it acts as a set of golden handcuffs, that is, the only thing preventing some people from quitting their jobs. Indeed, some still have a job simply in order to have access to affordable health care. However, it is possible to get health insurance on the free market and it does offer a greater flexibility than “corporate health care”(*). Even when I had access to “good benefits” through my W-2 job, I elected to go with the “free market insurance” instead. In fact, even after I had retired from my career/job/employee-status and I could come in under DW’s plan, I stayed with my own plan. (*) A kind of socialized health care available to people who are W-2 employees of tax-subsidized corporations. I currently (2011) pay $91/month for a $4500 deductible HSA-compatible plan with HealthNet. I consider $91/month a small sum. It is certainly nothing that’s going to break my retirement plans. Indeed, these plans exist even as people tell me they are spending hundreds, some close to a thousand each month for fully loaded health plans; and that would be something that would break ERE. To verify my numbers, go to ehealthinsurance.com and enter my zip code (94551) and county (Alameda) and my age (I’m 35.5ish). It’ll give you a long list of plans. Go to the bottom in the left sidebar and click on Additional Features. Click on HSA-eligible. Then sort by price. Note that the cheapest one comes in at $81/month. Maybe I should change my plan. Next, let’s see what the plan will cost in 20 years in today’s dollars (presuming business as usual and no fix to the most expensive health care system in the world), when I’m 55. Repeating the exercise, the cost would be $245/month. I also ran the plan for age 60 and it came to $288/month. Go ahead click on the link and verify it. Shortly after that evil socialized health care, you know, medicare, will be available to my age group. Again, none of these amounts are restrictive for ERE. At that age, it’s very likely safe to move from the ultrasafe 3% withdrawal rate to a standard 4% withdrawal rate. Now, I know that some areas/states are more expensive and some are cheaper. This is due to various regulations based on how much the insurance company can discriminate against things like gender, pre-existing conditions, smokers, obesity, etc. For instance, my premiums recently went up thanks to some California program that’s intended to provide cheaper health care for most people [which in turn means that some people, like me, are left holding the bag.] If you live in an extremely expensive state, consider moving. I promise you, if my premium costs were $500/month compared to $100/month in some other state, I’d be out of California within a month. Of course, there’s still the question of the high deductible. The answer is that your HSA covers you. I’m adding $3050 to my HSA every year. This means it takes me 3 years to cover my deductible for two years. If I break my leg, I can take this out of the HSA. I just need to make sure that I don’t break a limb more than once every 1.5 years. If I stay healthy, the HSA works like an IRA. Should some situation arise where I need to spend down my entire deductible year after year, I would presume that the situation is terminal and I might as well start spending down my six-figure ERE investment principal. This would still take decades. Of course, part of my plan is also to stay healthy and not rely on modern medicine to compensate for bad personal habits. Poor lifestyle choices account for 50-75% of all health care costs. Fortunately, ERE is not a poor lifestyle: no driving, no stress, and no eating out. This still leaves the 25%-50% of the rest of the costs, most of which is simply old age cost, that is, trying to keep a geriatric alive for a few more months (on average, some live much longer, but most don’t), but some of which are driven by genetic factors, like type I diabetes and other inherited diseases. Unfortunately, I don’t have an ERE solution for this (beyond leaving the US for another developed country, like Mexico). This is a problem better fixed by your political representative. 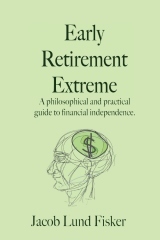 60 users responded in " Health insurance for extreme early retirement "
It is an old post which has been posted again? Jacob, how is your premium with Obama care. Here in MN, if you are single, and make 22 k a year (that is from investments, irrespective of your assets), you pay about 50 dollars a month (called minnesotacare, not medical assistance). otherwise, average income, with HSA, it is about 180-200 a month from MN exchanges market (by the way I pay about the same with my employer). I think the Affordable Care act (Obama care) is a great gift for people who want to retire very early with little income and lots of capital. one more think, with government subsidy, I think you will pay may be only half of the above price. Having said that, I don’t think insurance is needed. It is a systematic transfer of wealth from the majority to doctors (who most of the time don’t know what they are doing), hospital bureaucracy, insurance CEO/management and wall street. You need to see a doctor only if you have emergency, and emergency care, like police, defense, firefighters should be socialized as it involves welfare of society as a whole. Just to clarify the misinformation being spouted about the socialized systems. They work great for trauma or other conditions that require immediate treatment: broken bones, lacerations, heart attacks that require immediate surgery, pregnancy, etc. In order to keep costs down, they delay everything that can be delayed: cancer treatment, hip replacements, hernia repairs, other optional surgery. Because Medicare is socialized and we WILL eventually get something like Medicare for all in the United States, this is what you can expect to see here in the United States in the future. The good news is that you have a lot of control over optional surgery. Also, medical tourism is a way to get cheap optional surgery if the socialized system won’t cover it and/or delays or too long and you can’t afford home country prices. Medical tourism for things like hip replacements is very big among Brits already. Is anybody talking about how Obamacare has completely gutted the system? The days of ‘affordable health care’ have come and gone. If you want affordable health care going forward, best start looking at Costa Rica, Panama, Ecuador, or some of the other Central and South American countries. I just plugged my info into ehealthinsurance…$300+ a month or one person. Family of 4, $800+. Insurance has been up for me 25% a year the last 4 years…and doubling this year. But yeah, inflation is ONLY 2% (what fraud). Best advice…eat organic, non processed foods, drink non-fluoride water and take responsibility for your health and fitness. If you do need a procedure done at some point…get a plane ticket, your passport and head South. That is…if this police state we call a country hasn’t locked it down yet after the next ‘false flag’ event. I’m done with health insurance. Somehow, my grandfather managed to live till 90 without it…and I plan to do the same. By the way…excellent site Jacob! By the way, just plugged Jacobs zip and info into ehealthinsurance. 36 plans. Cheapest HSA eligible is $249 for one person. Just wait and see where your premiums go. Not to mention, when only only a tiny amount of the population registers for Obamacare compared to their ridiculous forecasts (and it’s the sick people registering! )…just wait until this total scam reveals itself. Look into http://www.healthshareliberty.com/. It’s a more libertarian – free market alternative to expensive health care. All surgery prices listed on their site includes doctors, anesthesiologist, and facility. I think you are going to see more ‘free market’ facilities like this popping up in the US. When I go to ehealthinsurance.com and replicate your instructions I get much higher rates. For example, a male at age 35 I see your zip/county/HSA starting at $249.07 when sorted by price. @All – Yes, this is a repost from 2011. I currently live in Chicago and health insurance is currently employer-sponsored. Obamacare through the exchanges would cost $148 for me (male, nonsmoker, 38) for a bronze plan here. Furthermore, Obamacare should actually be quite helpful to ERE. The reason is that you should have enough assets to meet the deductible of the bronze plans. Meanwhile, since you’re low income, you get a tax subsidy and this subsidy is determined as if you had a silver plan! If your expense level is such that it matches a typical ERE income of $5-20k/yr (depending on specifics), your health insurance then becomes practically free (after the tax kickback) AND guaranteed. Wow. The cheapest high-deductible ($10K per year per each) plan we could get in Maine in 2008 was $800/month for two completely healthy people.